Pretty drastic change from the bottle, eh? 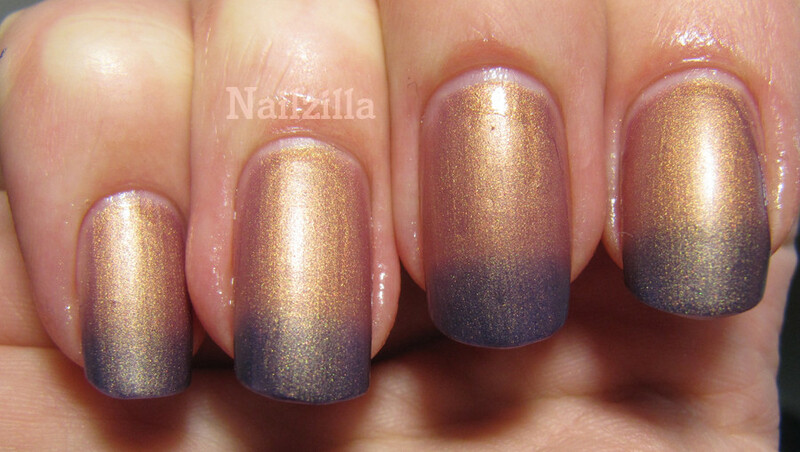 With topcoat on, the GLORIOUS golden shimmer comes out a little more. This polish is beautiful matte and even prettier when shiny!